Cataracts main cause is simple aging. Whether they become a problem or not depends upon the degree with which the lens deteriorates. A history of diabetes and smoking can increase your risk of developing cataracts. Everyone is at risk for cataracts as they age, but not everyone truly understands cataracts and their causes. A cataract clouds the eye’s lens; it can become so cloudy that it blurs your vision. Some people have greater odds of getting cataracts. And their causes can be gender-related. For example, women who receive hormone replacement therapy (HRT) after menopause are more likely to need cataract surgery than women who are not receiving HRT, especially if they also drink more than one alcoholic drink per day. The types of estrogens used in HRT may raise levels of C-reactive protein, an inflammatory substance that has been linked to cataract development. Cataracts are the world’s leading cause of blindness. In the United States, cataracts affect more than 20 million Americans over age 40—a number that is expected to rise to 30 million by 2020, according to the Centers for Disease Control and Prevention. But, while cataracts remain the most common cause of reduced vision in the United States, cataract surgery is routine and almost always restores normal vision. Exposure to the ultraviolet (UV) rays of the sun has been linked to a greater chance of developing cataracts. Although the precise mechanism by which sunlight may cause cataracts is still unclear, it’s generally recommended to limit exposure to direct sunlight to help reduce the risk. Smoking also boosts risk of cataracts, and it can take 10 to 20 years after smoking cessation for your risk to drop, according to a long-term study of 44,000 male smokers in Sweden. Men who smoked more than 15 cigarettes a day were 42 percent more likely of ending up having a cataract removed, compared with men who had never smoked. But even 20 years after quitting, the extra risk had still not come down to the level of never-smokers. Taking certain medications has also been linked to a greater risk of developing cataracts. Examples are steroid drugs, like those contained in many common asthma medications, as well as a class of antidepressants known as selective serotonin reuptake inhibitors (SSRIs). There is mixed evidence on statins, the cholesterol-lowering drugs. Multiple studies have found that people who take statins like Lipitor (atorvastatin) and others have a significantly lower risk of developing cataracts than people who don’t take statins. In contrast, the long-running Age-Related Eye Diseases Study (AREDS) found that people who took statins were nearly twice as likely to undergo cataract surgery. But the cause of that risk might be cardiovascular disease, rather than the statins that are used for treatment. A cataract clouds the eye’s lens. The clear lens is made up mostly of protein and water, arranged in a precise pattern that makes it transparent. As you age, the proteins begin to clump, causing the lens to cloud and turn yellow. 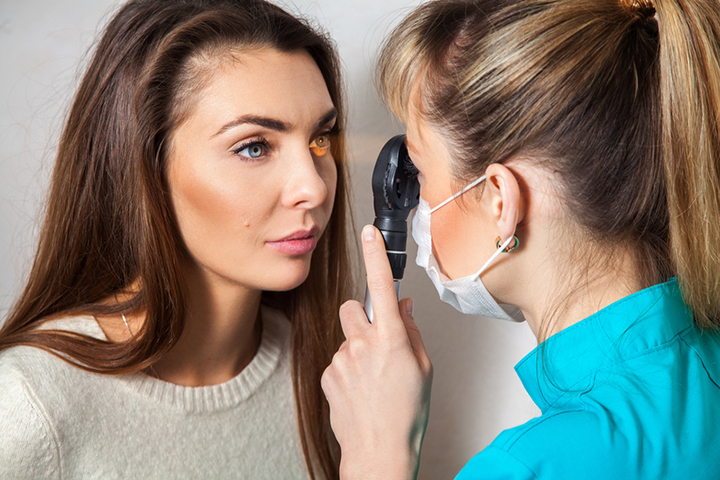 This is a normal process that occurs in almost everyone, and it doesn’t always affect sight. However, in about half the population, the cataract eventually gets so cloudy that it begins to blur or dull vision. It does so by scattering light, preventing it from focusing sharply on the retina. It also may cast a yellow or brown tint over your vision, reducing contrast and causing colors to fade, making reading difficult. Scientists are not sure what causes the clumping associated with cataracts, but it is probably a combination of factors. One likely contributor is a class of compounds called oxygen free radicals. They are generated by natural biochemical processes, notably metabolism as well as by infections (probably partly because infections result in inflammation), and also environmental pollutants, including cigarette smoke. In younger people, these free radicals are sopped up by antioxidants, but the body’s ability to produce antioxidants decreases with age. Ultraviolet light also contributes to cataract formation, probably partly by generating free radicals. after menopause, antidepressants, antioxidants, asthma, c reactive protein, cardiovascular, cardiovascular disease, cataract, cataracts, cholesterol, cholesterol lowering, cholesterol lowering drugs, diabetes, eye diseases, eye surgery, free radicals, hormone, hormone replacement therapy, inflammation, metabolism, protein, radiation, retina, selective serotonin reuptake inhibitors, serotonin, serotonin reuptake, serotonin reuptake inhibitors, smoking, statins.